Cut some slits into the flesh of the tilapia, down to the bone. You can do this several ways: parallel to the backbone, or perpendicular (make it several slashes then), or use crosscuts. Mix garlic, ginger if using, onions, tomatoes, salt or fish sauce and pepper in a small bowl. Press down on tomatoes a bit with a fork to bring out the juices. 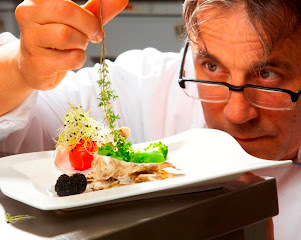 Carefully this mixture into tilapia cavity and into each cut/slash you’ve made. Wrap the whole tilapia in banana leaves or foil and cook on the grill for about 20 minutes or just until cooked through and fish is fragrant. If using the oven preheat to 400°F and bake, wrapped in leaves or foil, on a baking sheet, for about 20 minutes. 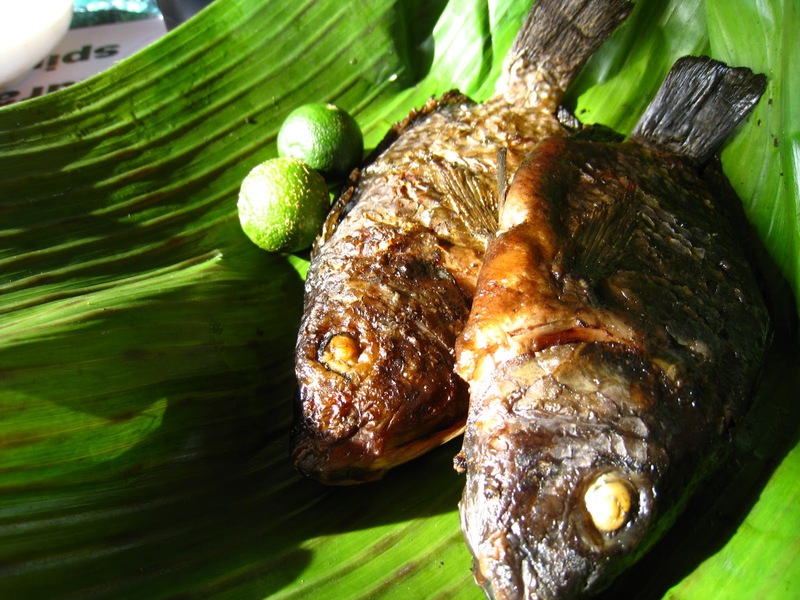 This is one of the simplest Filipino fish dishes you can make. The Grilled Tilapia (Inihaw na Tilapia) is a very affordable dish. This recipe is delicious, simple, and really easy to cook. If you can’t find or don’t want to use whole tilapia, you can do this same treatment using tilapia fillets. You can even replace the banana leaves or foil with parchment paper, and call your dish “en papillote”!